Currently booking Valentine's performances! Restaurants, House Parties, Resorts, Corporate Parties, Retirement Communities. Vocal hits from Sinatra, Bennett, Groban, Bocelli and Neil Diamond. A time period, first-class vintage look and microphone, Bose Surround Sound soundtracks or live jazz band. Michael performed for our 125th Celebration and was phenomenal. We would love to have him back again!! Thank you Jessica, Phipps Conservatory has an exceptional history and is a crown jewel in the Pittsburgh area. Your event services staff is outstanding. It was an honor to be a part of your celebration. Michael was easy to work with, on time, professional and gave a good performance. We had almost 200 people in the room. Our crowd was a little older and subdued, not like a traditional wedding or something more upbeat than he is probably used to. However, he did everything he could to provide a walk down memory lane and gave a fine performance. Thanks Michael! Price Range: "$300 - $2,500"
Michael provides a first-class journey of the Great American Songbook featuring hit songs of Sinatra, Bennett, Bocelli, Groban and Neil Diamond. Michael entertains audiences as a solo vocalist, supplying all Bose surround sound, with professional backing tracks. 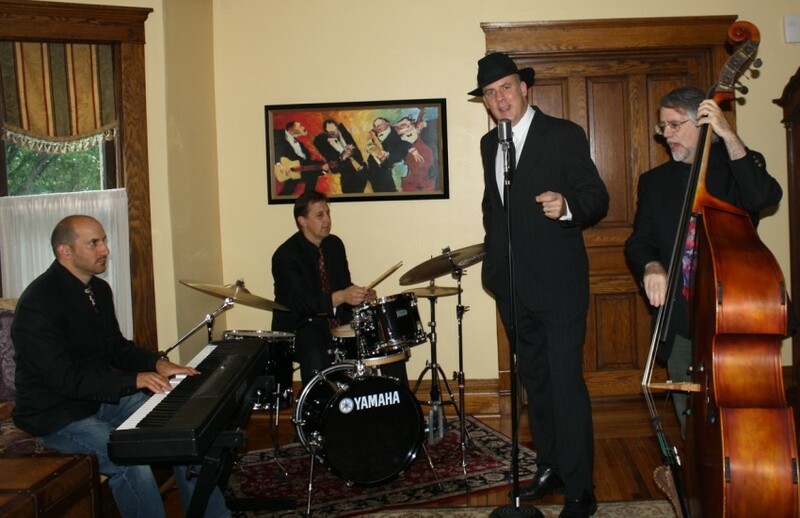 He also can bring a jazz trio or quartet to events as desired. Typical solo entertainment events last 75-90 minutes and can be tailored longer. As well, full band events are tailored in the three-hour range with breaks. Born in Florida, residing in Pennsylvania, Michael brings his full range tenor voice and classic vocal entertainment, performing hit songs of The Great American Songbook as well as today. Whether a solo performance or with a supporting quartet, you will take a journey of your lifetime. My quotes are all inclusive. I personally use a Bose L1 surround sound tower for maximum vocal clarity. **Event must be non-smoking only. Please provide a 10x10 ft minimum performance area and working, grounded outlet. Frank Sinatra, Ella Fitzgerald, Tony Bennett, Josh Groban, Kurt Elling, Tommy Dorsey, Andrea Boccelli. All Bose sound equipment for performance is provided. All that is needed is a working, 3 prong outlet and 10x10 performance area. Non smoking please, cigars are ok.